My name is Leonardo Antunano, licensed massage therapist offering a wide range of therapeutic healing and massage services, including relaxing forms of massage such as Swedish, Shiatsu and Aromatherapy, and more specialized forms designed to address specific pain or dysfunction, such as Myoskeletal Alignment, Deep Tissue, Thai Yoga, and Sports Therapy. See my full menu of Therapies. I have been practicing massage since 2001, and have owned and operated my practice, Healing Balance Therapies, Inc., since 2004. My studio is located in the beautiful Paradise Spa and Cafe, in the Pineapple Grove district of downtown Delray Beach, Florida. 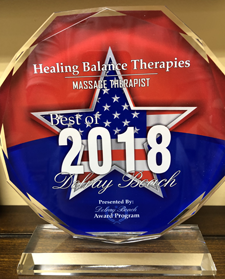 With my unique background in both medical massage and spa bodyworks, I understand and treat a wide array of conditions while still being gentle and providing a holistic and individualized approach to healing. 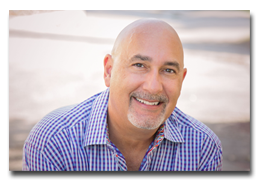 I often complement treatments my patients receive from medical practitioners, such as pre- and post surgical procedures, and longer term therapies and treatments. I also can provide recommendations to my clients regarding other practitioners that might complement my therapies. My therapies aim to balance the physical, emotional and energetic structures in our bodies.